The Hilton Doubletree Treats Us! 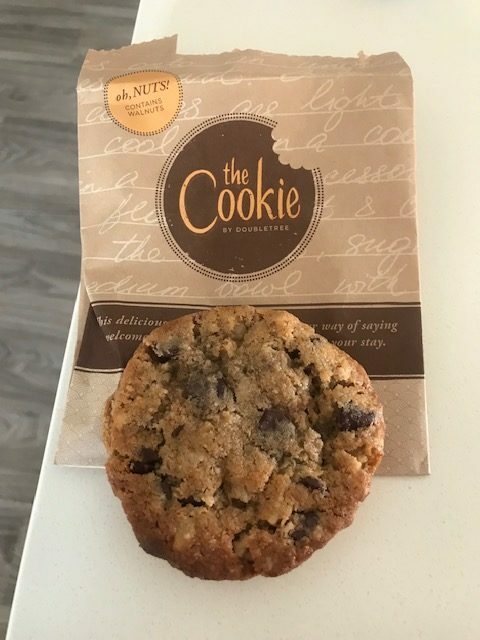 Today’s view…Nothing is better than a warm chocolate chip cookie! And, we get two as we check into The Phoenix DoubleTree Suites . Less than two miles from Sky Harbor Airport, it is a perfect place for us to stay the night before our flight to Hawaii. Using my Hilton Honors points for the room, we are also going to benefit by being able to leave the car here, instead of paying high daily parking. 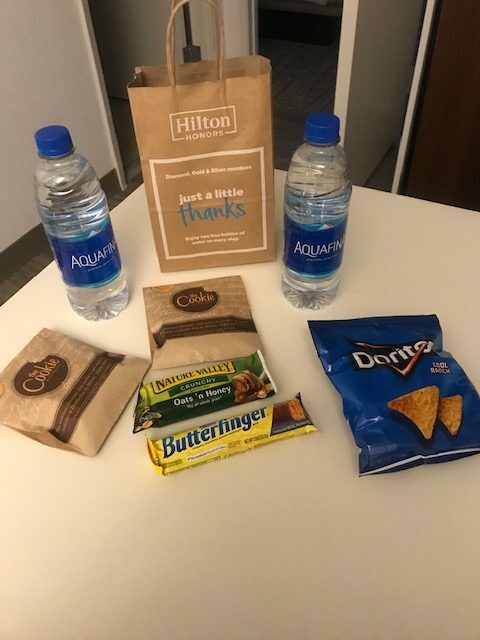 In addition to the cookies, we were given a gift bag with water and treats! Why Are We Flying Out of Phoenix? When I booked our flights, as often happens, it was over $400 cheaper to fly from Phoenix than from Tucson. At $86 each roundtrip, we could have taken the Shuttle . Or we could have had someone drive us or parked at one of the off-airport parking lots. Staying at the DoubleTree, with their free breakfast and free parking was just a much better idea! When Are We Getting To Hawaii?